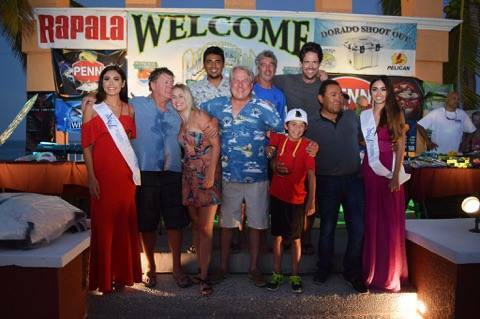 It was an amazing 13th annual Dorado Shoot Out! A record 141 teams participated in this years shoot out and a record $126,000 was awarded in jackpots. The first fish weighed on Saturday was on El Tio at 30#. Then came a 52.5# on Amante. Based on the last week of fishing and the last 3 years of this tournament, everyone thought that was the winner. That weight held for about 39 minutes. That's when team El Regalo showed up with a monster 57.3# bull. We were all blown away and thought this thing was over. But not so fast! 30 minutes later team Don Julio weighed in the biggest dorado in the last 10 years of this tournament with a 61.4# winner! 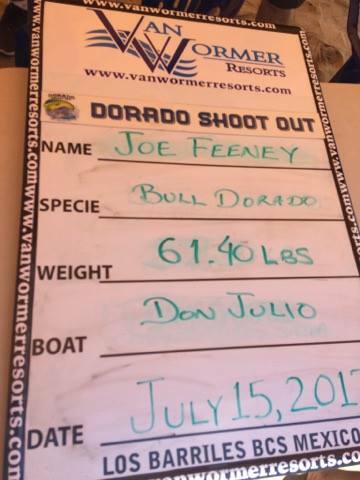 Joe Feeney was the Angler on team Don Julio who reeled in this beast and took all 4 jackpots worth over $126k and a brand new 2017 Volkswagen Amarok which was generously given to the Captain Lucio Vargas! 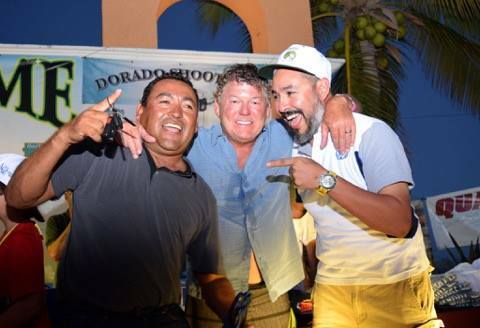 Congratulations to team Don Julio and to all the teams that participated in this years Dorado Shoot Out! 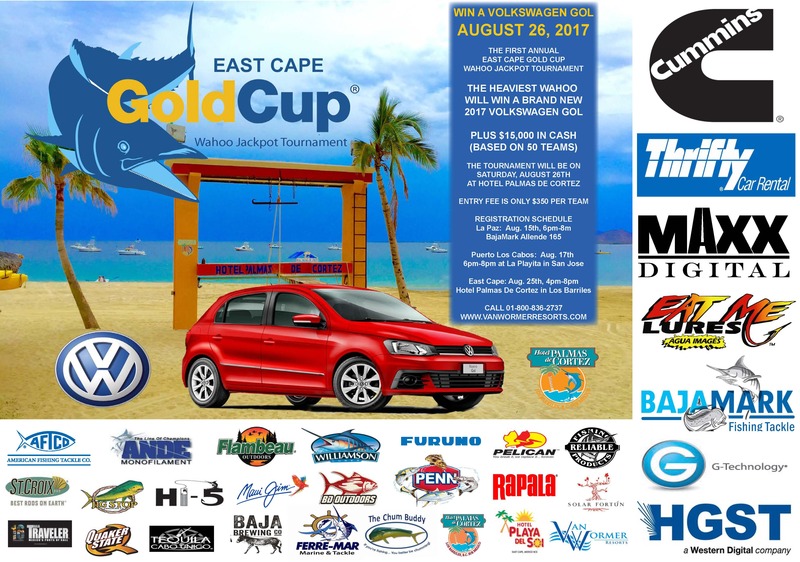 Lets do it again on August 26th when we will give away a Volkswagen Gol and lots of cash at the first annual Wahoo Gold Cup! Winner of the 2017 Volkswagen Amarok and $126,480 in cash jackpots: Joe Feeney Team Don Julio 61.4 lbs. 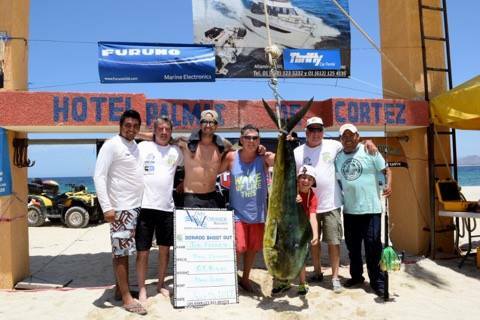 Second Place Dorado: Harry Rogers Team El Regalo 57.3 lbs. Third Place Dorado: John Jensen Team Amante 52.5 lbs. 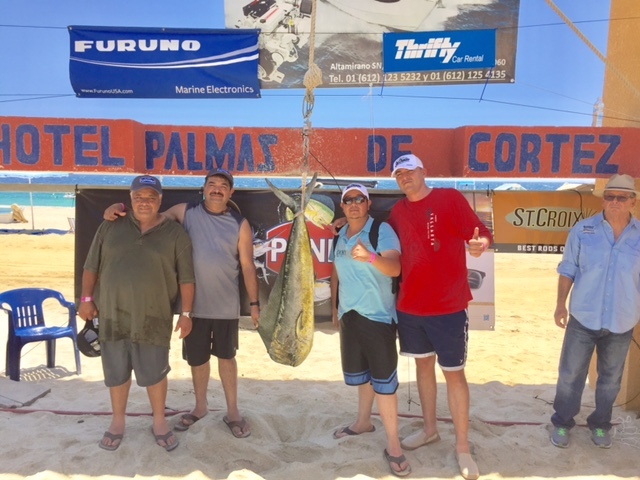 Fourth Place Dorado: Fernando Hernandez Team El Tio 30.7 lbs. Fifth Place Dorado: Robert Pletka Team Thresher 25.6 lbs. First Place Tuna: Jim Grbac Team Cuyuyo III 31.1 lbs. First Place Wahoo: Jason Smith Team Berracuda 32.2 lbs.